Driving Directions Starting Address This townhouse style condo with a contemporary flair is located a fantastic location, close to everything! This two bedroom, 2 bathroom end unit boasts lovely hardwood floors throughout, plenty of closets and a seamless, open floorplan. The renovated kitchen offers stainless steel appliances, a beautiful back-splash and adjacent eating area for easy dining. Relax and unwind in the expansive family room featuring a vaulted, two story ceiling and wrought iron railing to the upper level. Completing the first floor is the first of two bedrooms and a well appointed full bathroom. Upstairs, the master suite awaits with large closets and nicely updated second full bathroom. 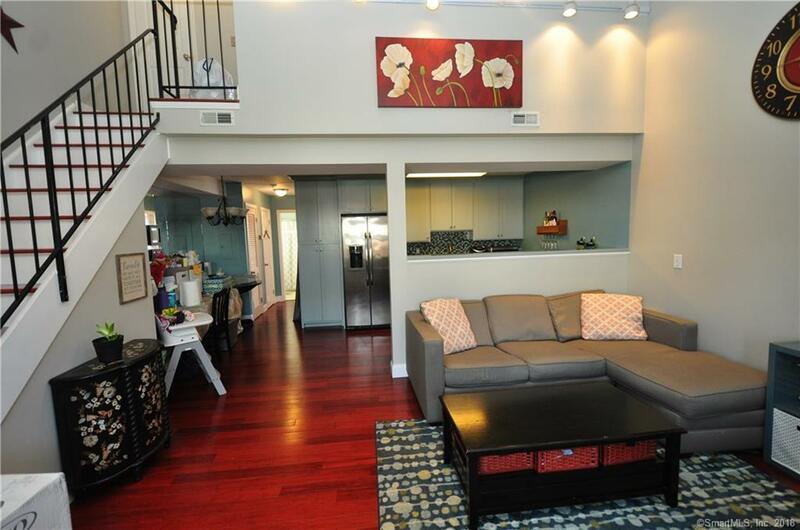 This amazing unit includes TWO parking spaces and designated storage space in the basement. Do not miss this incredible opportunity... minutes from transportation, shops, restaurants and i95 for easy access to the city.